. : Optics & Photonics Focus :: Spin gradient thermometry experiment with Mott insulators :. At low temperatures, the two components of the quantum gas — spin up and spin down — are clearly separated (a), whereas they overlap considerably at higher temperatures (b). 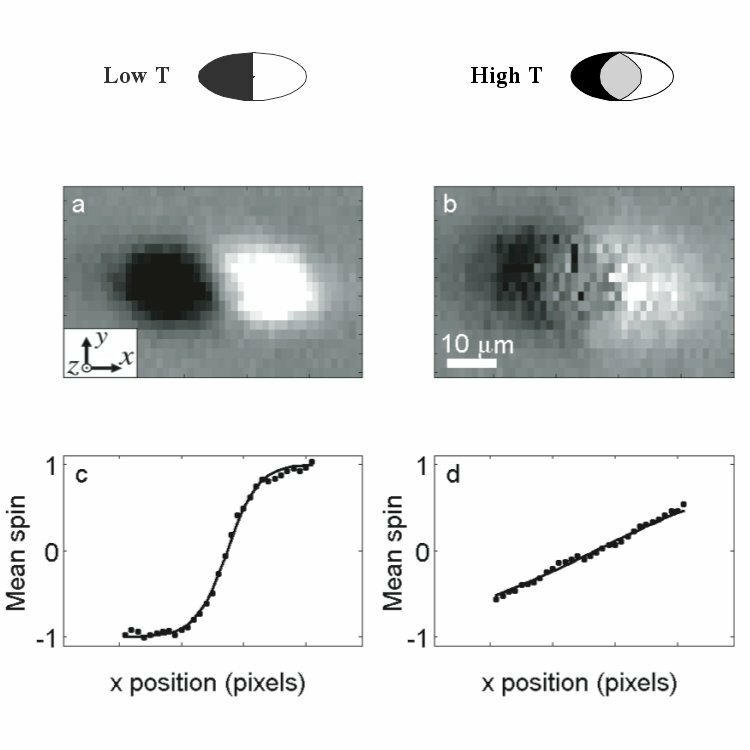 Image analysis (c,d) allows one to deduce the temperature by comparison to the known, theoretical temperature dependency of the two phases and their interface region.